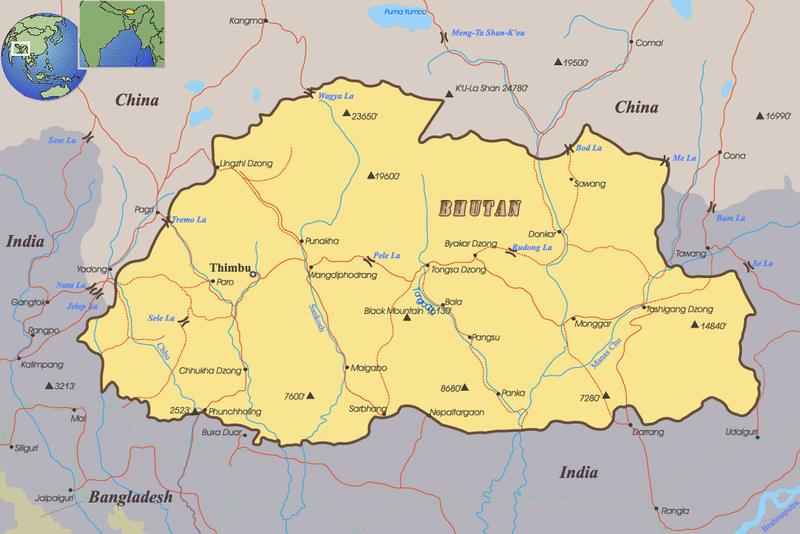 Bhutan is a country in southern Asia, between China and India. 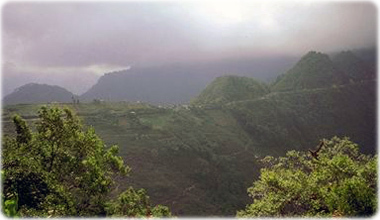 Its terrain is mostly mountainous with some fertile valleys and savanna. The highest point is Gangkar Puensum (7,570 m). The capital is Thimphu. Bhutan is one of the most peaceful countries on Earth. It is located in the Himalayas Mountains. Border with Bangladesh. Highway in the cloud in Bhutan. Travel routes to Asian countries, best places to visit, cities and borders.